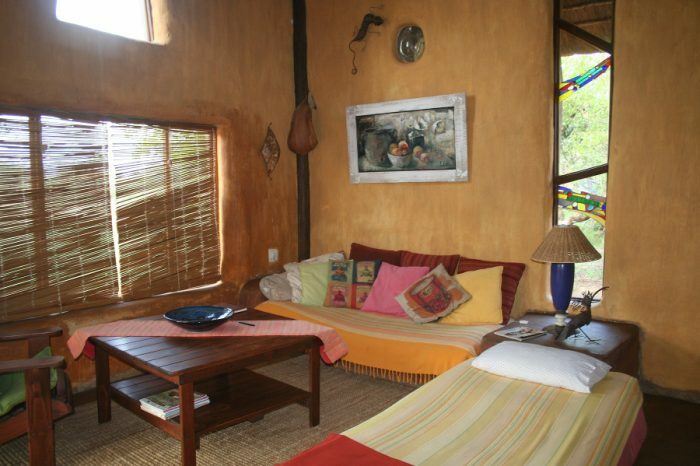 A cozy two room chalet where one room is used as a large bedroom with a queen-sized bed. The second room is an open plan kitchen, dining and TV room. Bed linen and towels are provided. Also equipped with DSTV in both dining and bedroom. The kitchen is well equipped with a gas stove and electric oven as well as microwave, huge fridges and freezers, a dishwasher, and all cutlery and dishes needed to feel completely at home. Dish washing towels and sponges are provided. 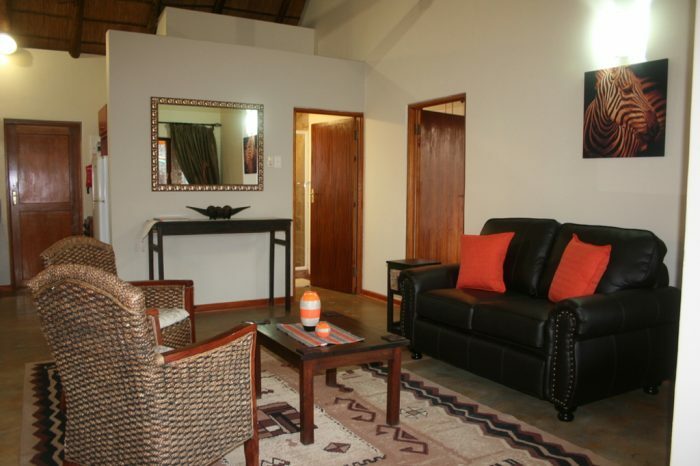 The large en-suite bathroom is equipped with a spacious shower and bath as well as a wash basin. For those enjoying to shower outside this is possible too. 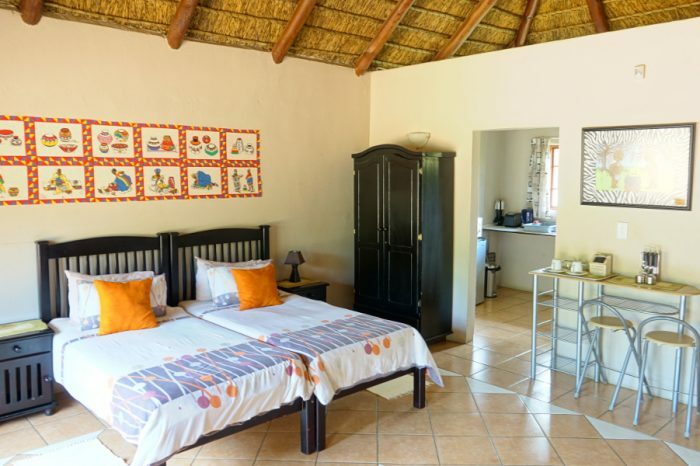 Both rooms have sliding glass doors allowing complete open rooms and the adventure of almost sleeping outside and listening to the noises of the bush at night.